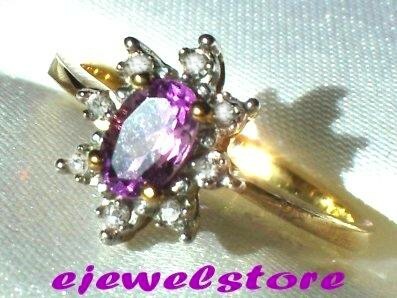 GENUINE AMETHYSTand DIAMOND RING 10CT YELLOW GOLD. This fantastic ring has a beautiful crisp coloured gemstone complimented by precision set diamonds of nice quality. We also have this one in Garnet & Diamond. 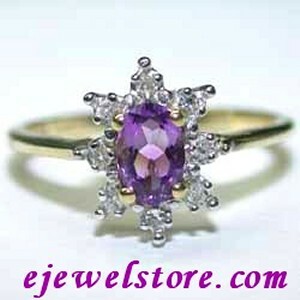 1 Genuine oval shaped Amethyst measuring approximately 6x4mm and Weighing .43 Carats. 8 Genuine glistening white diamonds, totaling approximately .07 Carats. I-J Colour, SI3-I1 Clarity. Gemstone Description 8 Genuine glistening white diamonds.